This has been a powerful week of healing for me. I began the week in Victoria B.C. where Tom and I spent a day on one of our quarterly retreats. I spent most of the day writing poetry. Then I delved into Parker Palmer’s latest book On the Brink of Everything, where he shares about the power of poetry in his life. I was particularly struck by his words I write poetry as well as read it because it’s one of the best forms of self-therapy I know. I have never consciously sought healing through my reading and writing of poetry yet as I reflected on these words I realized that healing has come as I crafted my words into poems and prayers, many of which I have shared on this blog. It is indeed a powerful form of self-therapy for me and I suspect for many of us. On Thursday evening we had a local poet, Vicky Edmonds in our home. She shared about the work she does with children encouraging them to find healing in the writing of poetry. She expressed the belief that the most beautiful part of each of us is invisible and invited us to name one of our invisible beauties and make a poem about it. 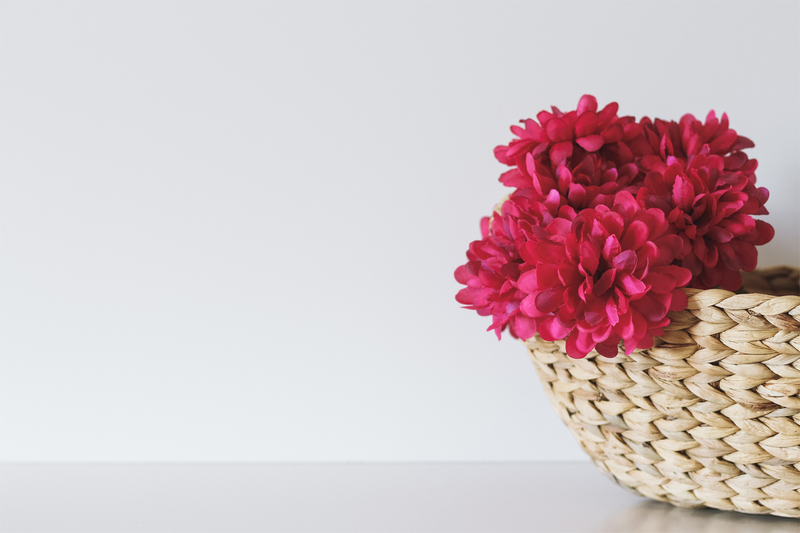 We started by naming the beauty and then identifying a color we associated with it. She then asked “how is this helping you and the world?” It was a profound and inspiring process. The invisible beauty I named was love. 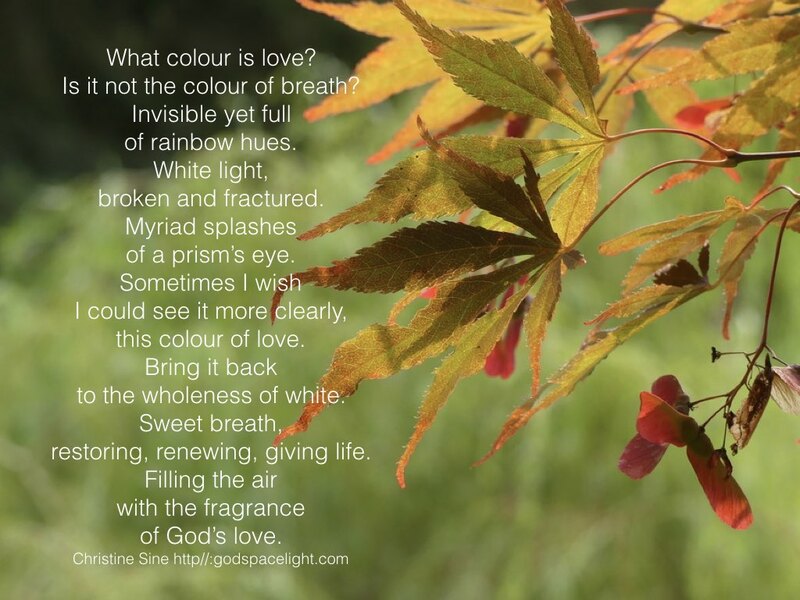 This was partly because my week has been spent pondering the question “What did God breathe into us to give us life?” I came to the conclusion that as God is love, it was love that gave us life and I surmised that God’s breath is love incarnate – simple words to describe what has been profound experience for me. The prayer I shared above was my expression of this process. Why Did David Write Poetry? Have you ever thought about what a damaged person David must have been? When Samuel came to anoint to his family to anoint the son he thought would one day be king, it was as though his parents had forgotten all about him. He was away with the sheep, maybe an unwanted last child. And as he grows, even with Samuel’s anointing, there seems to be little acceptance. When he goes to visit his brothers in the army they seem to despise him. Saul accepts and embraces him originally, but ends up hating and trying to kill him. He flees for his life and seems to spend much of his adulthood swinging between a hero’s welcome and despised rejection. Not only does Saul end up despising him, but his wife and sons do too. I suspect that after his adultery with Bathsheba he thinks God despises him too. There must have been lots of healing necessary in David’s life and I wonder if the writing of poetry brought him some of that healing. Maybe this is why he could endure through all these hardships. Maybe this is why even at the end of his life he could cling to God. Maybe this is why God described him as “A man after my own heart” (Acts 13:22) It certainly wasn’t because he had led a blameless life. Maybe to be a person after God’s own heart means to be willing to repent and keep moving towards wholeness no matter what we face in life. And maybe poetry, or I suspect any form of creative expression, is part of the way we get there. Have you ever written or read a poem that profoundly impacted you and brought healing and wholeness to your spirit? Read through your favourite psalm. Allow its words to sink deep into your soul. How does it touch you today? Is there a poem that wells up in you as a response? Write it down. Perhaps you want to rewrite the psalm in your own words. Or like my experience with Vicky Edmonds you might like to write down one of your “invisible beauties” and allow it to lead you into poetic expression. What other form of creative expression brings you healing and draws you closer to the wholeness God intends for you? Prayerfully consider this question and commit to spend time in self-therapy, soul-care today, allowing the healing balm of God’s creative spirit welling up within you to bring you wholeness. Thanks for this beautiful reflection Christine. May I use your poem in a reflection to our community of brothers which we send each fortnight. It always begins with a reflection. We would of course acknowledge the author.Your invitation to draw on the healing power of poetry or writing is welcome. We publish a book each year on poetry composed by our Brothers and associates. I hope it brings healing and inspiration to others. Terry thank you for your kind words about my reflection and yes feel free to use the poem – as long as it is acknowledged it is OK. I always appreciate knowing how my poems are used too so I appreciate you letting me know.